Bruce Wayne, the man who has fought gods, has been confirmed to be an atheist. 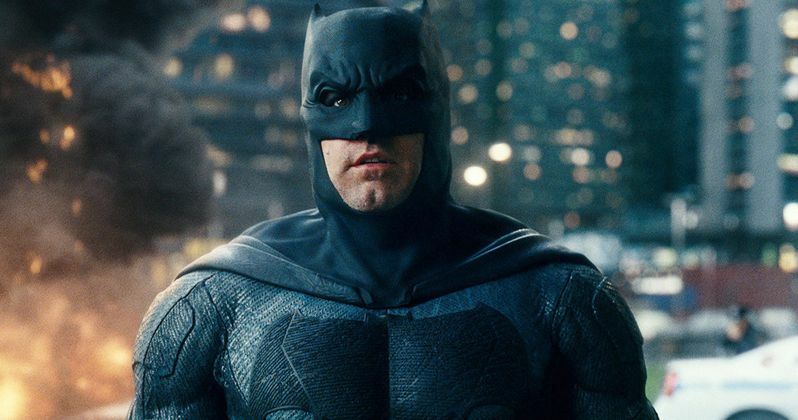 After years of speculation and mystery about the Caped Crusader's actual religious beliefs, the most recent Batman comic book has revealed that Bruce Wayne used to believe in a higher power, but no longer does. The events of this comic book issue take place shortly after Batman was left standing at the altar at his wedding to Catwoman. Since this devastating moment in his life, Bruce Wayne has taken a leave of absence from his cape and cowl to spend more time as Bruce Wayne. It was during this time that he talked to a rather religious woman while serving jury duty, where he clarified that he used to believe in God, but had since given religion up. The genius billionaire went onto discuss how he had always seen Batman as a god, but had recently given up faith in the Caped Crusader. In short, Wayne has given up faith in himself as Batman, putting his character into a rather depressive state for the duration of the comic book. While this particular issue of Batman may be too incredibly in-depth emotionally for those who read comic books for their action, it does at last clear up the mystery of Batman's religion. Numerous DC fans have been theorizing for years whether Batman was a Christian or an atheist, or something else entirely. Some of the earlier Batman comics hinted that he may have been a Christian, particularly after the death of his parents, whereas the later comics implied that he didn't believe in any god at all. The clarification that Bruce Wayne used to be Christian but ended up losing faith is a reasonable explanation for this confusion, erasing any plot holes that could have risen from what we had believed to be inconsistencies. The fact that Batman saw himself as a god is actually rather interesting, and shows a lot of his character. Since the loss of his parents, Bruce Wayne has learned to fend and fight for himself, going on to become one of the greatest superheroes of all time. During his time under the Batman mask, Wayne fought and defeated numerous other "gods," and even worked with a few. Batman became a "man among gods," and because of this, Bruce Wayne started to see Batman as a god himself. From Bruce Wayne's point of view, he didn't need a higher power to get by if he could be that higher power himself. Whether or not this revelation from DC Comics of Batman being an atheist will have any long term effects on his character, either in the comics or in the movies, remains to be seen. The character Batman has been around for nearly 80 years, and this is the first time that his religious views ever received any real focus, so it's safe to say that this detail is not an incredibly important part of his character. Despite this, it's still incredibly interesting to finally know where Bruce Wayne's devotion lies, and it will surely clear up the Internet discussions about what religion the Caped Crusader actually follows.